Book Description Note: This is an E-Book (electronic) Edition. This guide will help you understand how to do part 3 of the Cambridge FCE and CAE Reading and Use of English test, i.e. word formation exercises. 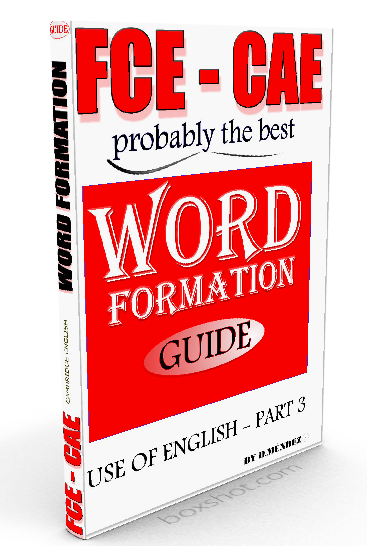 It will provide you with a good understanding of how words are converted from one class into another as well as giving clear explanations on how to come up with the right word by noticing the words before and after the gap.This guide will prove very useful for both intermediate and advanced students who want to pass the Cambridge English exams.